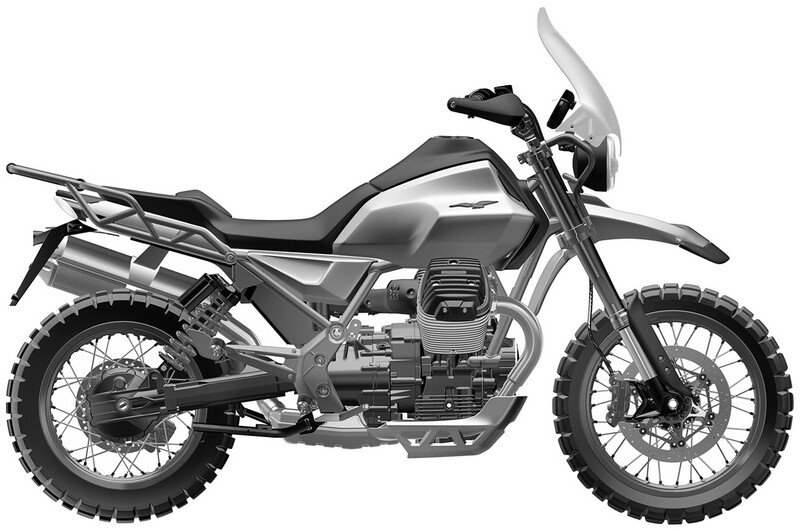 Here’s a look at the right side of the concept and the patent filing. 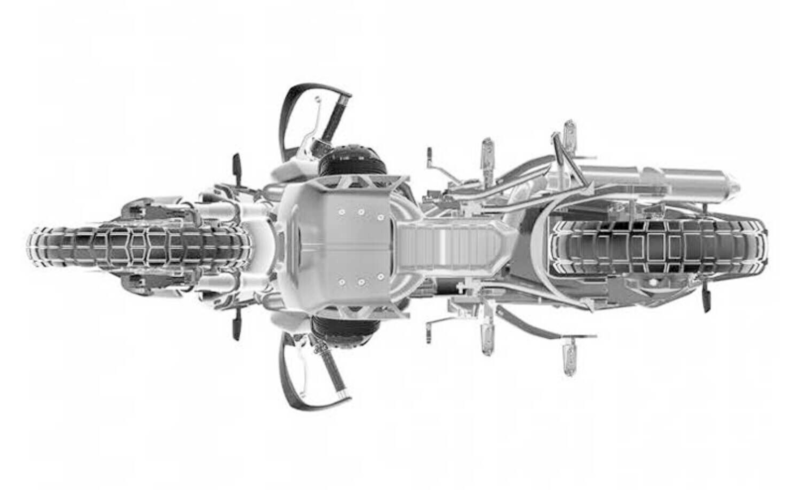 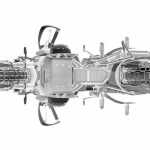 We’ve increased the contrast on the filing and scaled the two so their engines line up. 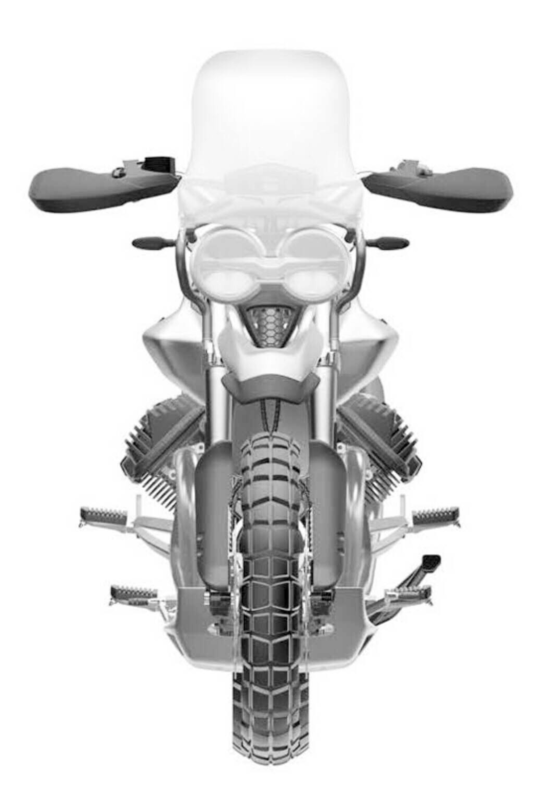 Move the slider left and right to see the difference between the two. 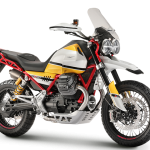 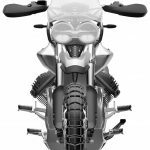 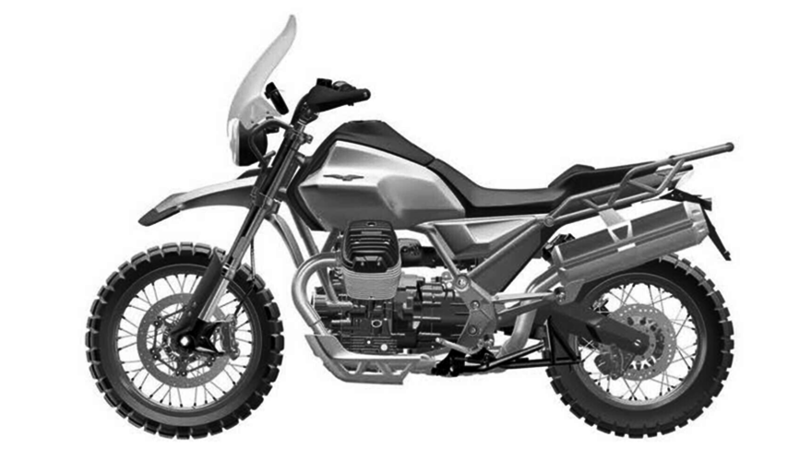 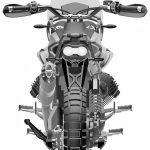 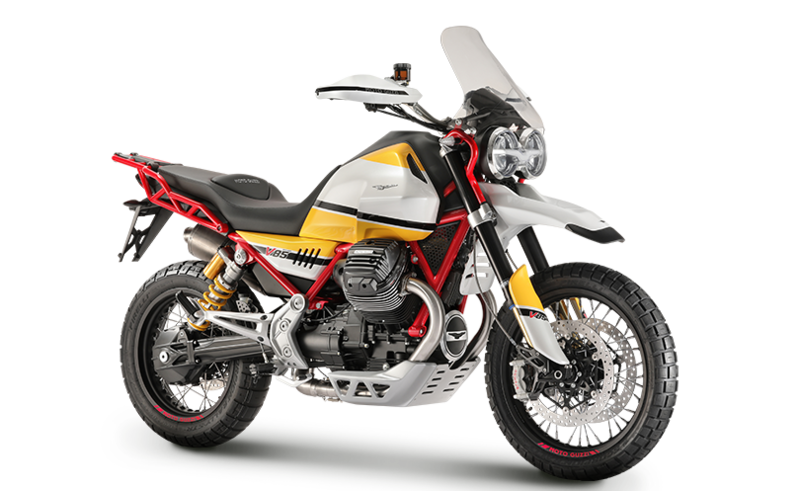 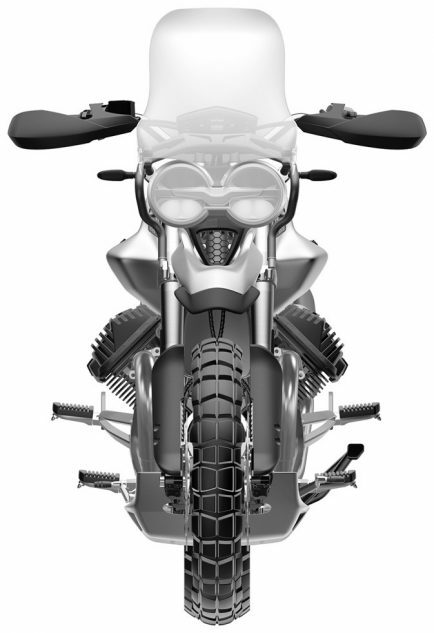 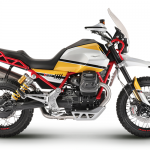 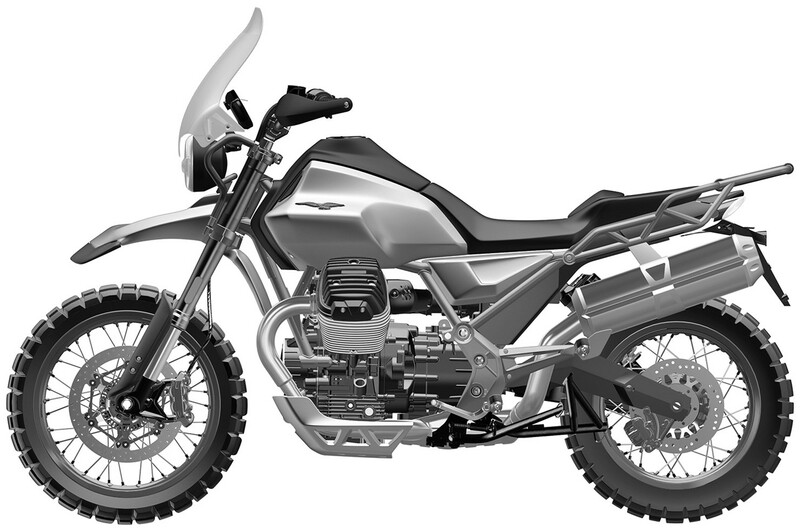 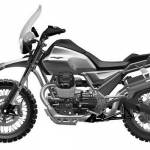 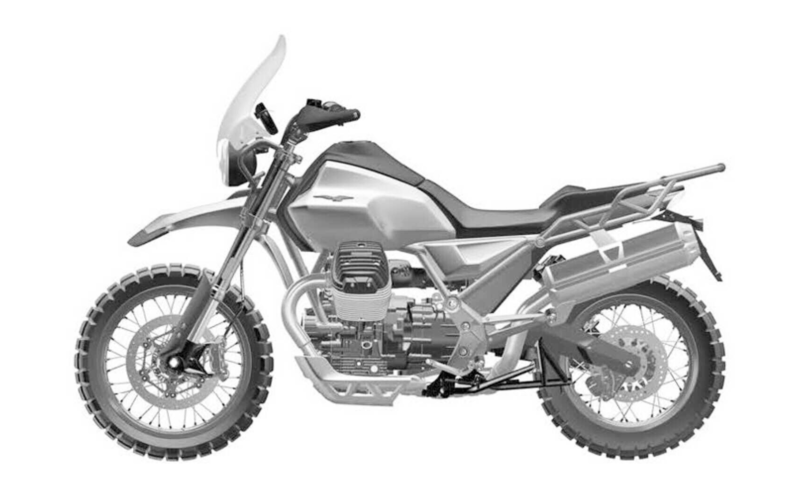 Piaggio hasn’t filed any new trademarks that suggest a potential name for this new adventure-tourer, so it’s possible it will retain the Stelvio name and be called the Moto Guzzi V85 Stelvio. 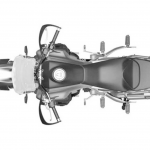 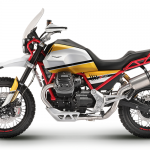 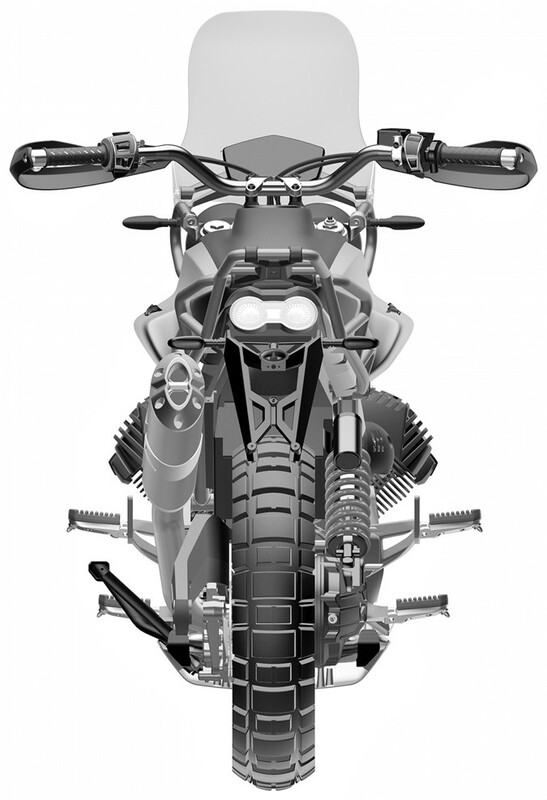 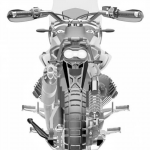 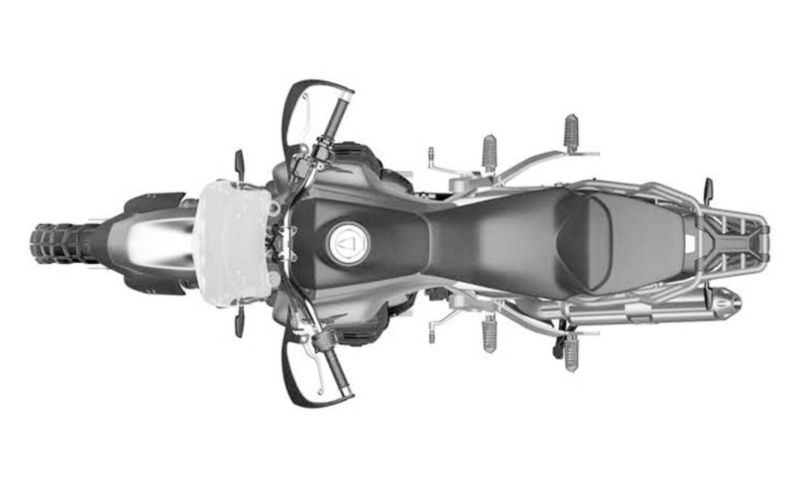 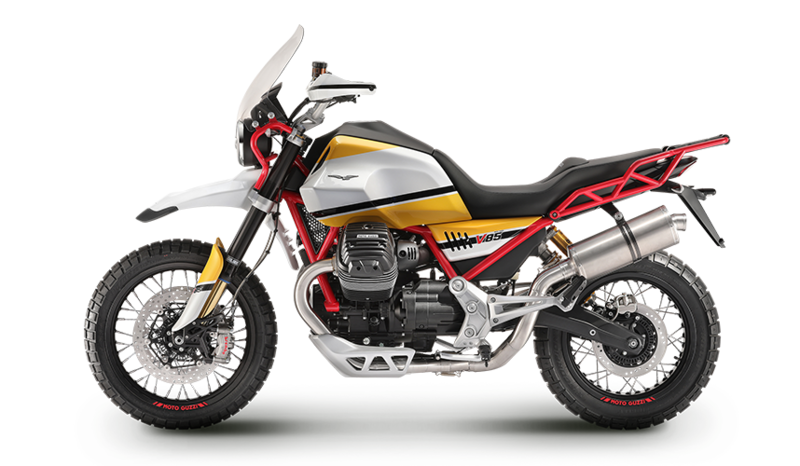 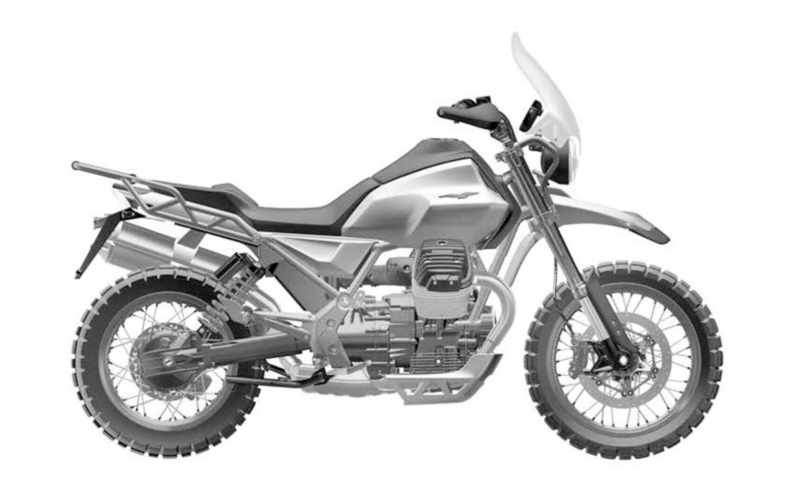 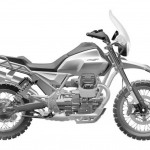 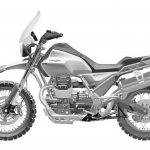 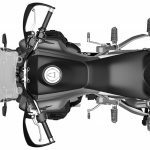 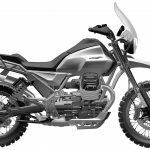 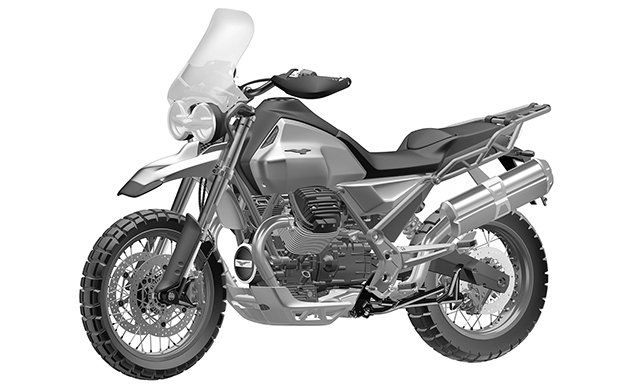 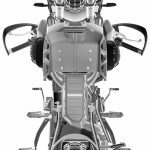 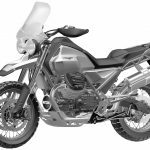 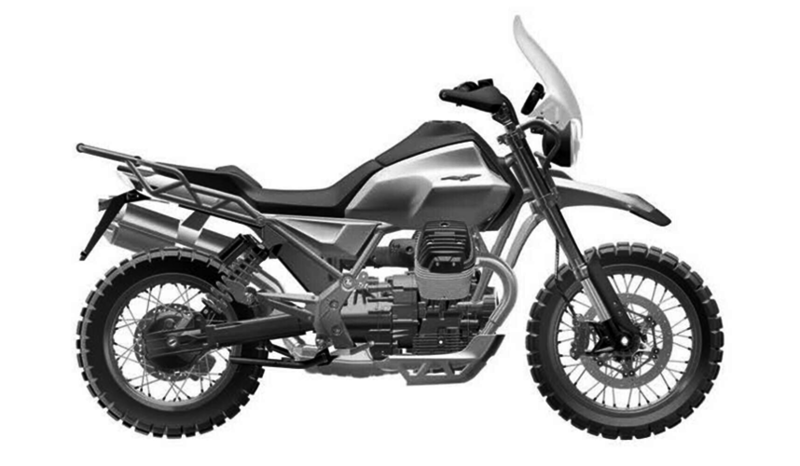 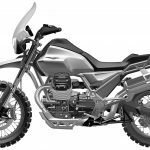 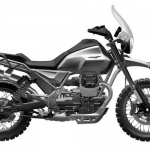 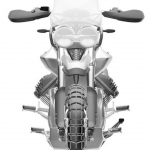 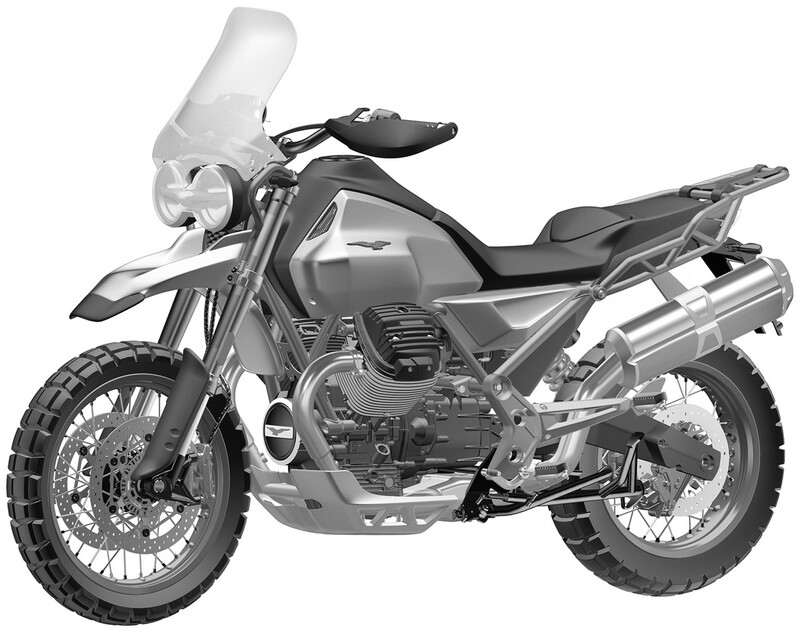 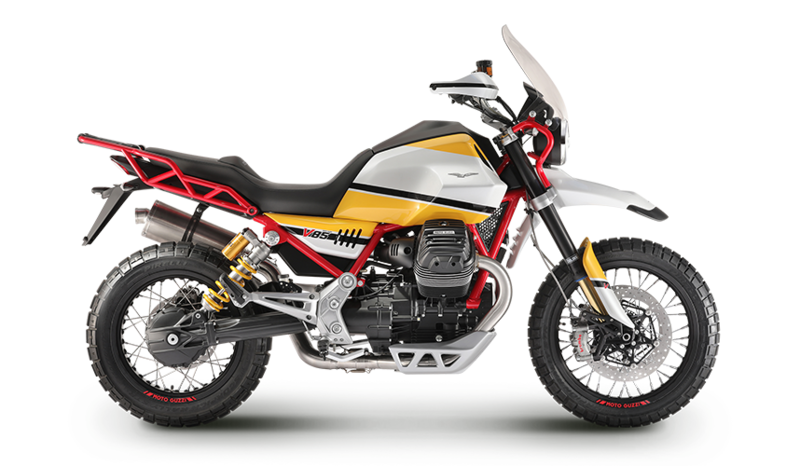 Expect to see the final production version at this fall’s big motorcycle shows, more likely at EICMA in November than the Intermot show in October. 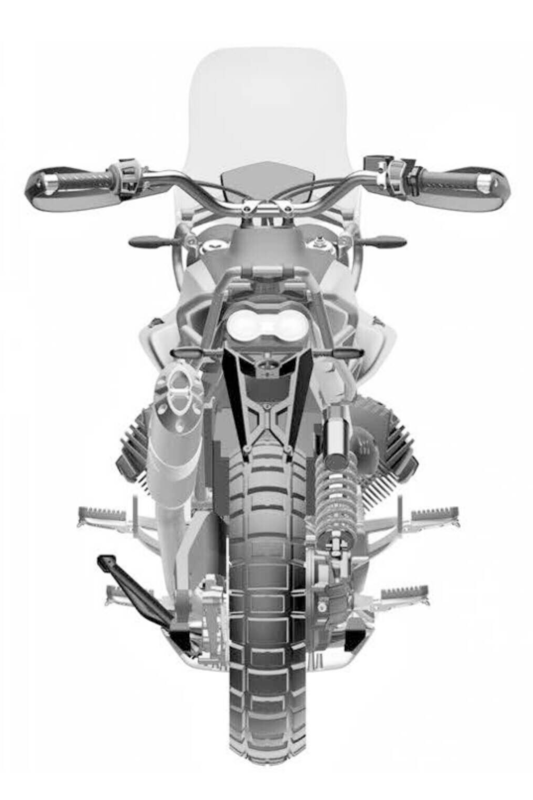 We’ll have the latest information here on Motorcycle.com as it becomes available.